HARTFORD - Gov. 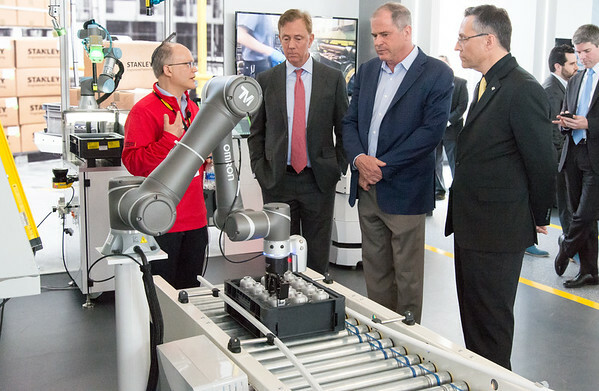 Ned Lamont and Hartford Mayor Luke Bronin were among those who attended the grand opening of Stanley Black & Decker’s new state-of-the-art advanced manufacturing center in downtown Hartford. The center is called Manufactory 4.0 and is located in a 23,000-square-foot facility at Constitution Plaza. Stanley Black & Decker’s headquarters is in New Britain. 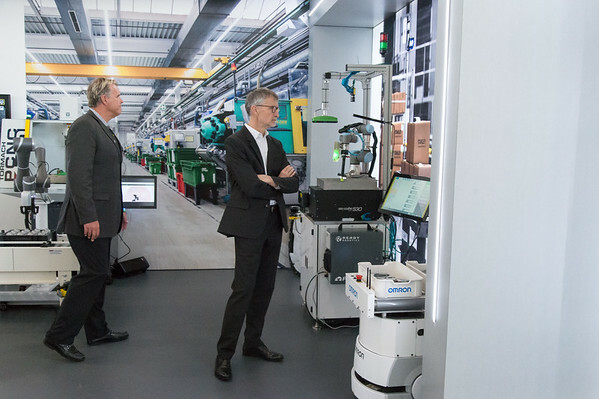 This facility, which employs about 50 people, is designed to build solutions to help digitalize plant operations. Part of the goal is to replace old factory equipment with new technologies. 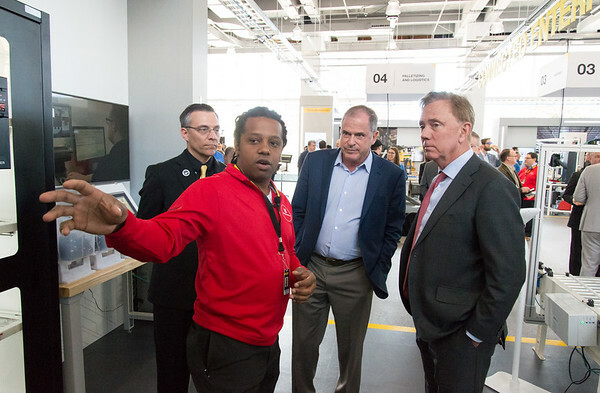 Stanley Black & Decker’s President and CEO Jim Loree said Manufactory 4.0 is unique and he thanked all who had the vision for the manufacturing center as well as those who partnered with Stanley Black & Decker for its creation. Bronin thanked Stanley Black & Decker for its commitment and said he was grateful for its partnership. 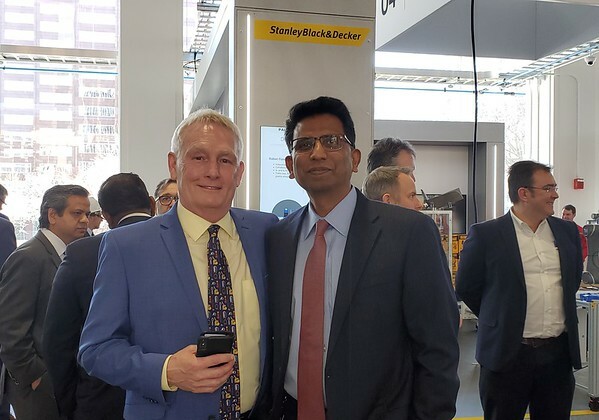 Sudhi Bangalore, vice president of Industry 4.0 at Stanley Black & Decker, said the new center will open doors to innovation and partnerships. The event also highlighted the beginnings of Stanley Black & Decker and some of its accomplishments through the years. To learn more about Manufactory 4.0, visit www.stanleyblackanddecker.com . Posted in New Britain Herald, Business, General News on Thursday, 11 April 2019 20:59. Updated: Thursday, 11 April 2019 21:01.